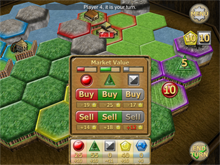 New World Colony is a digital strategy board game for iOS is currently available in the App Store as a universal download. In New World Colony, players battle for control of territory and resources on maps full of fields, forests, mountains, and rivers. 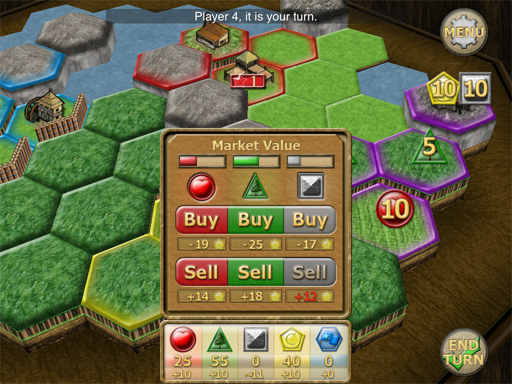 In order to win you will need to build and upgrade structures, trade, construct defenses, and outwit your opponent. Each decision must be weighed carefully. 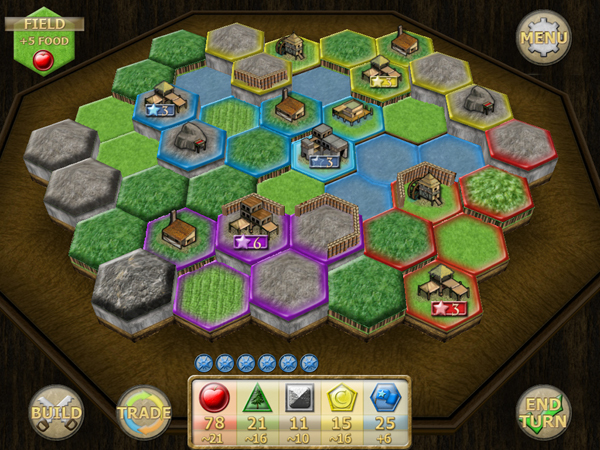 Do you expand your colony's borders so that you can reach valuable gold and minerals? Or do you build a fort so that you can capture a nearby farm from an opponent? 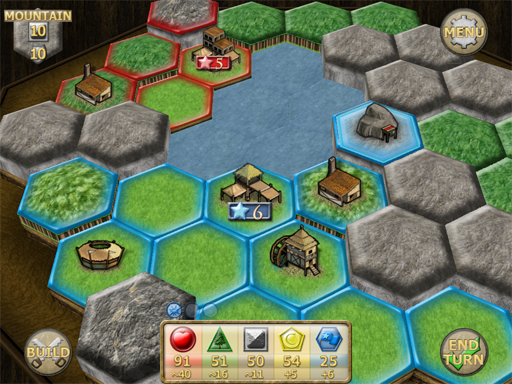 Or construct a shipyard so you can sneak past your opponent's fortifications? 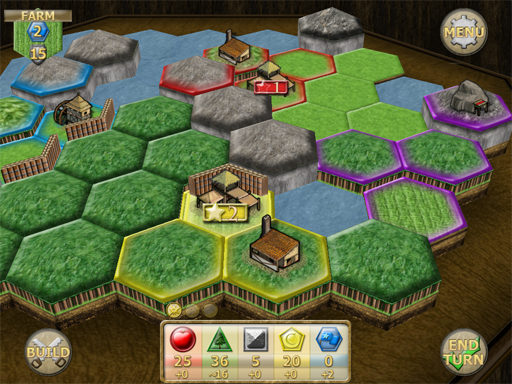 On top of that, you'll need to monitor and defend clusters of connected territories in order to maintain your advantage. Finding the perfect balance is a challenge but is also key to victory. It is a fun and fast strategy game with randomly generated maps, challenging computer AI, turn-based online multiplayer and a wide range of game settings. 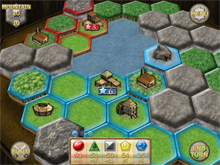 Be prepared to sink countless hours into this game as you perfect your tactics! 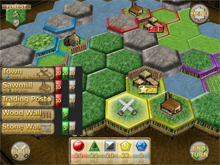 Play locally with friends, hone your skills against three levels of computer AI, or compete online in asynchronous turn-based multiplayer matches. 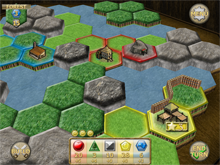 Play in standard turn-based or a fast paced hybrid real-time mode. Make sure to check out the rules page for more detailed information about the game.